Park Life Café‘s ingredients are sourced from local suppliers and fair-trade and organic wherever possible. 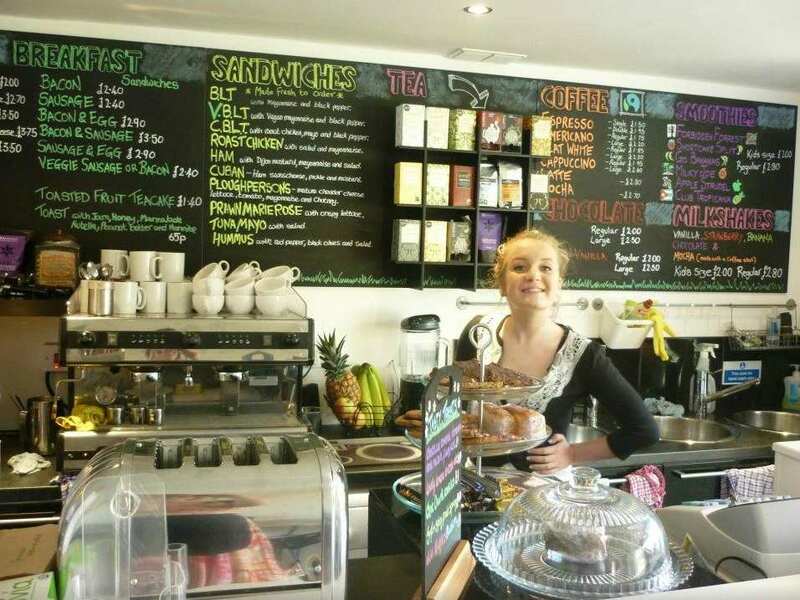 • Hot and cold drinks including a range of teas and coffees, fresh smoothies and milkshakes. • Hot and cold food including home-baked treats, freshly made sandwiches, soup and chilli, chips and burgers. The café will also holds the licence to sell ice cream on the park and will be selling a wide range of interesting flavours from the hatch. Customers will be able to sit in the small but fresh and welcoming café or enjoy the sunshine on the flagged seating area. People just passing through may just want to take away, for which the containers will be bio-degradable and eco-friendly. Park Life Café will also provide a much needed social hub on the park and will support the recreational aspect of Park Life by selling a small selection of leisure equipment and skate/BMX/scooter parts. Park Life Café will also provide free wifi to the diverse groups of existing park users which will in turn attract more people to enjoy the space. We stop serving hot food an hour before closing.